Retinol, where it all Began. It all began in 1971 when Dr. Albert M Kligman, a famous Dermatologist at the University of Pennsylvania, USA, discovered Tretinoin (Retinoic Acid) for the treatment of acne. It was marketed by Johnson & Johnson with the brand name of Retin-A and it was an extremely effective treatment for acne and is still on the market 35 years later. Dr. Kligman’s older patients who were prescribed Retin-A noticed that their skins became smoother, their wrinkles became less and their pigmentation lighter. Dr. Kligman coined the phrase photo-ageing i.e. that chronic sun exposure can cause skin ageing. In 1996 together with Johnson & Johnson, he developed the product called Renova which contained Tretinoin in a richer base and it was registered for use in photo-ageing. Tretinoin is an extremely effective medication but the side-effects of redness and irritation can be unpleasant and it can cause the skin to become sensitive to sunlight. It is a prescription only medication. Retinol is a pre-cursor of Retinoic Acid i.e. when Retinol is applied to the skin it is metabolised to Retinoic Acid. 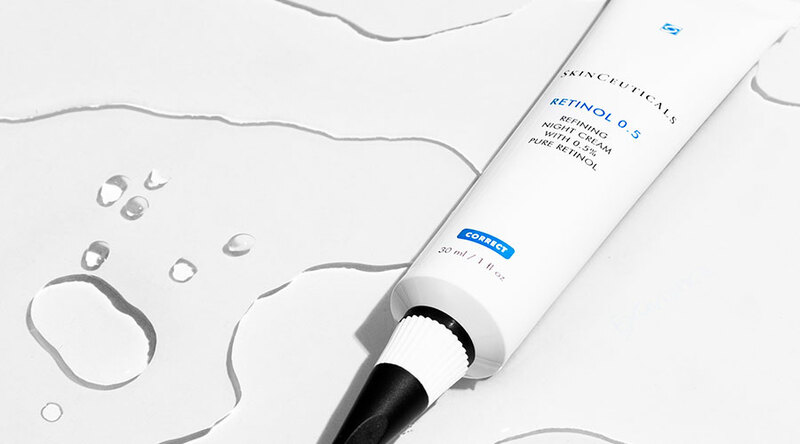 It has been found that topical Retinol is less irritating on the skin than Tretinoin but this does depend upon the concentration of the Retinol. The usual concentrations of Retinol in cosmeceuticals ranges from 0.1% to 1.0%. Retinol has become more popular as it is generally better tolerated by the skin and it does not need to be prescribed by a medical professional. Both Tretinoin and Retinol are part of the Retinoid family and while there are many other Vitamin A derivatives that fall under the term Retinoids, these two are the most effective for treatment of photo-ageing. The risk of a ‘Retinoid Reaction’ – a temporary irritant contact dermatitis is much higher when using Tretinoin or higher concentration of Retinols. With the advancement of science and technology, more modern and innovative delivery systems of Retinol into the skin have helped to reduce irritation and to lower the risk of a reaction. NeoStrata, is leading the field when it comes to new and exciting formulations that make everyday use of Retinol a more pleasant experience. “Sunscreen aside, Retinol is one of the most important ingredients you can use to prevent and correct signs of ageing skin,” says Barbara Green, Vice President of Clinical Affairs, NeoStrata Company, Inc. “It addresses everything from wrinkles to uneven tone to acne and pore size, making it a must‐have in every skincare routine. With Skin Active Retinol + NAG Complex, we are able to deliver a high strength retinol formulation that is augmented by the matrix building and volumizing effects of NeoGlucosamine which we call NAG. 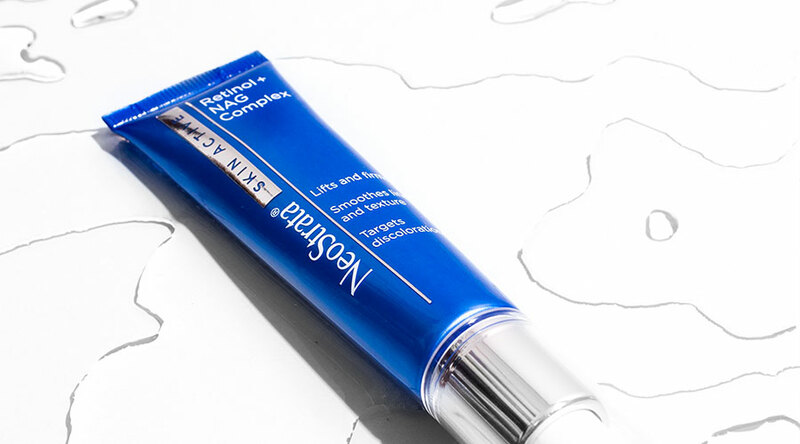 It’s a new way to use Retinol. The researchers at NeoStrata laboratories in Princeton, USA have developed a new product called NeoStrata Skin Active Retinol + NAG Complex which is formulated with micro-encapsulated Retinol and 4% NeoGlucosamine®, a NeoStrata patented ingredient. What this essentially means is that scientists have taken 2.5% Retinol and placed it into a microsphere – a microscopic, porous shell. As the encapsulated cream is applied to the skin, the sphere is compressed releasing small amounts of Retinol into the skin. The effective concentration of the Retinol on the skin is 0.5% and the slow release promotes stability and enhances the tolerability of this high strength formulation, reducing irritation and making it a far more comfortable experience on the skin. Research has found that the Retinol works synergistically with Neoglucosamine® to build the skin’s matrix to help firm and smooth while reducing the appearance of pigmentation, brown marks and blemishes. NeoGlucosamine® is a building block of hyaluronic acid and it plays a fundamental role in helping to inhibit the activation of tyrosinase, the enzyme important in producing melanin. It is a non-acid exfoliator that increases cell renewal and gives the skin a radiant glow. 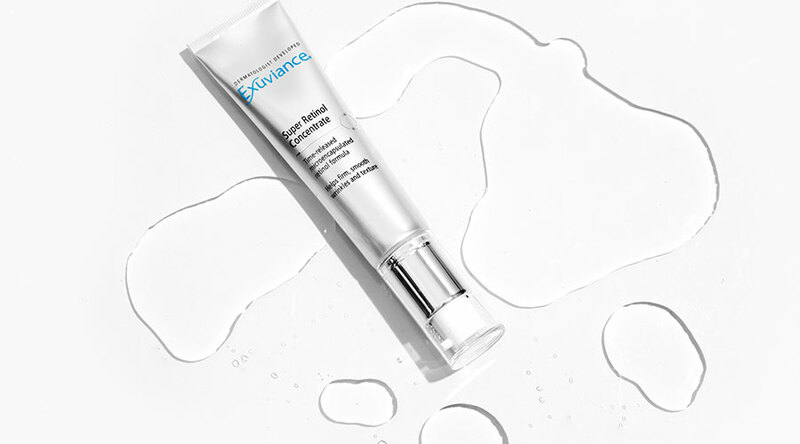 Exuviance Super Retinol Concentrate (manufactured by NeoStrata) works in a very similar formulation to the Skin Active Retinol + NAG Complex, just at a lower concentration of delivered retinol to the skin, ie. (1% encapsulated retinol, with 0.2% delivered vs. 2.5% encapsulated retinol, with 0.5 retinol delivered). 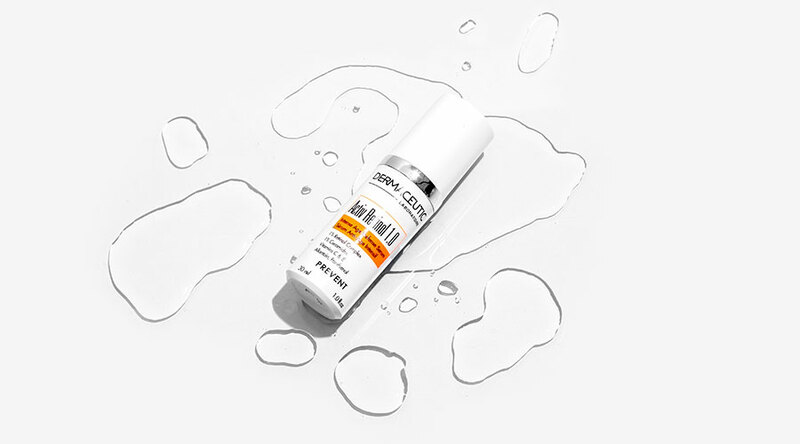 This makes Super Retinol Concentrate the perfect solution for first-time retinol users or younger people with less advanced photo-ageing concerns. 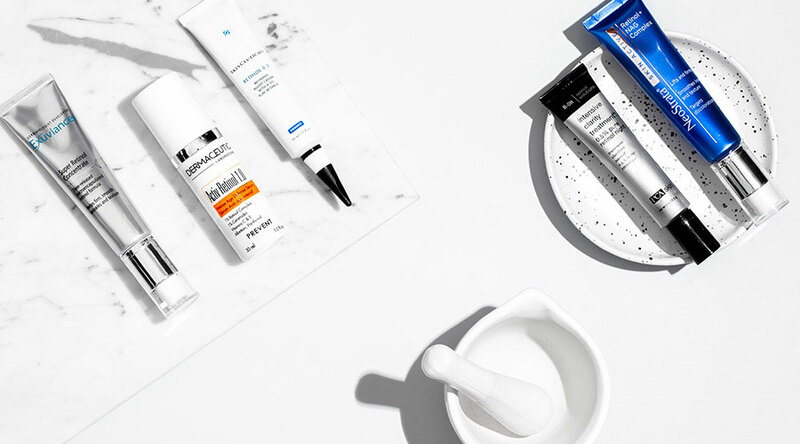 SkinCeuticals opt for a minimalist pure Retinol formulation what compromises of two key ingredients – pure retinol, which they employ in an optimized delivery system and protective packaging to ensure stability and efficacy of pure retinol. It works with the skin’s natural lipid structure to promote optimal absorption. The second key ingredient is Bisabolol, which soothes and calms irritated skin. It essentially acts a counterbalance potential irritation pure retinol might induce on the skin. It also helps to reduce dryness and restore suppleness to the skin. It has been used for hundreds of years for medicinal practices with its anti-irritant, anti-inflammatory, and anti-microbial benefits. It is thought to enhance absorption when used together with active ingredients. Myself and my staff have found this Retinol product to be simple, effective and to work synergistically with other SkinCeuticals products very well in addressing early signs of ageing, discolouration and skin texture. Retinol is a highly versatile skincare ingredient addressing ageing, pigmentation and acne. PCA Skin is one of the only (if not the only) globally recognized cosmeceutical companies to develop specific retinol products for specific skin conditions. They pair pure retinol at a 0.5% concentration with specific active ingredients that enhance the physiological effect of the product. For example, in their Intensive Clarity Treatment, they combine pure Retinol 0.5% with Salicylic Acid, Gluconolactone and Poly-Hydroxy Acids, known acne-improving ingredients. This product is ideally suited to adult acne patients. Their Intensive Brightening Treatment in addition to 0.5% Pure Retinol includes 1% Resveratrol, Niacinamide and Hexylresorcinol, ingredients all indicated for improving pigmentation. They also have a specially developed Sensitive Skin Retinol which can be used by the most sensitive of skins. Dermaceutic Retinols Activ products contain pure retinol (not encapsulated) and are uniquely solubilized into Polysorbate 20 to help stabilize it and make it penetrate the skin easier. This, therefore, allows the active retinol to reach deeper into the skin whilst making it better tolerated by the skin. Their 0.5% is best suited to early ageing skin whilst the 1% better suited to well-tolerated or mature skins. As topical Retinoids have the potential to cause a transient irritation of the skin it is best to only cleanse the skin with a gentle cleanser and not to use any toner or scrub. Dry the skin thoroughly before applying the Retinoid. Topical Retinoids are generally used at night and I like my patients to start off slowly – initially applying it on a Monday, Wednesday or Friday nights. This can be done for a week or two and if the topical Retinoid is well tolerated then it can be increased to every night. If the skin can only tolerate it once or twice a week at night, it is better to use it in this way rather than to not use it at all. As the topical Retinoids may make the skin more sensitive to the sun it is important to apply a good quality, broad-spectrum sunblock every morning. It is advisable not to use your Retinoid If you know you are going to be outdoors for prolonged periods the next day. Topical retinoids are still considered as the gold standard of ingredients when it comes treating photo-damaged skin. Posted in NEWS / Anti-Ageing on November 7th, 2017.